Abundant on fields, roadsides, and railroads; spreading to rock outcrops, shores, and elsewhere. A thoroughly naturalized weed, originally from Europe. First collected in Michigan in 1839 by D. Cooley in Macomb Co. 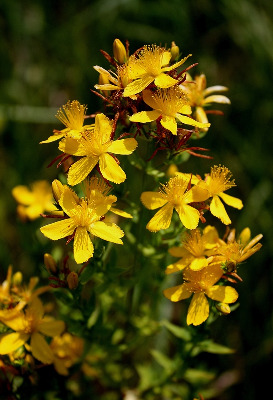 Although other species of Hypericum are also poisonous if ingested, this abundant species has been an important livestock-poisoning plant, especially in western North America. One of its properties is to make animals hypersensitive to light. This species is much less black-spotted than H. punctatum, but it does have prominent translucent dots in the leaves. The stem is angled (compared to terete in H. punctatum); a ridge extends downward from the base of the midrib of each leaf. MICHIGAN FLORA ONLINE. A. A. Reznicek, E. G. Voss, & B. S. Walters. February 2011. University of Michigan. Web. 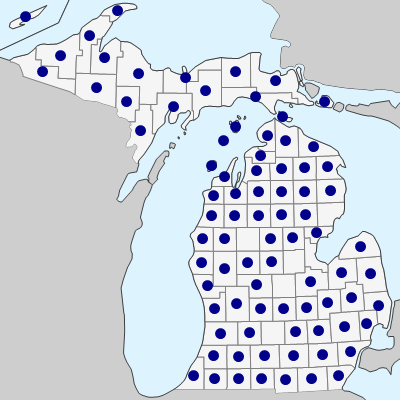 April 21, 2019. https://michiganflora.net/species.aspx?id=1465.